One of the problems with being a native New Yorker is that I take amazing cultural resources for granted. Not only do I live in a city with great collections of fine bindings, but I also have the bookstore of legend: The Strand. I am embarrassed to admit that I’d never been there before. With my new obsession, The Strand is the obvious place to go. I recently lost track of time (quite a lot of time) in their Books on Books section. It’s only one aisle in their miles and miles of stacks, but it is a delicious treasure trove of book geek goodness. The number of fantastic books they manage to pack into that small space is just short of miraculous. Off I went with a list of books I saw on their website. This is the wrong approach. At The Strand, serendipity is your best friend. The stacks are a goldmine. I am in love. I creep on the floor; I climb higher than prudent. I discard my list. My pile of books is large. Way too large. I forget that I am not building a library of Books on Books. I refocus and reshelve (you’re welcome). I depart with two treasures, both of which turn out to be even better than I imagined. I spent $15. 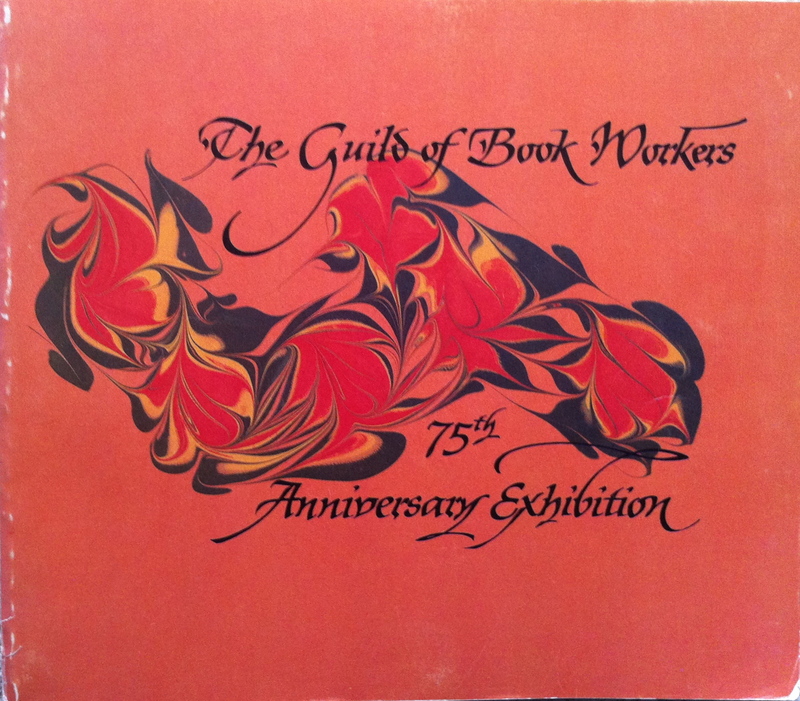 The Guild of Book Workers was founded in 1906, so the exhibit was in 1981. I read this baby cover to cover. It’s a trove of information and images. The first half of the exhibit is a retrospective of the best work of Guild members prior to 1975. The number of women binders represented blows my mind. I’ve never heard of most of these binders. The second half is contemporary work, by Guild members, executed after 1975 and never before shown in a major exhibition. There are 124 entries, not all of them are bindings. Some of the bindings are truly gorgeous. Some should have never seen the light of day. I’m beginning to realize that is par for most competitions. 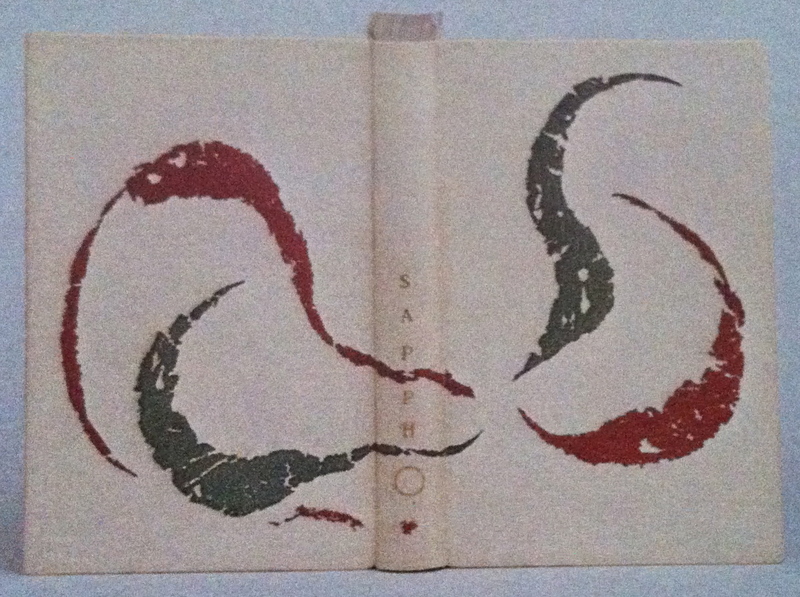 I’m particularly charmed by a binding by Polly Lada-Mocarski (more on her later) and an early Donald Glaister (more on him later). Full white alum-tawed pigskin with pigskin hinges and gold sewn headbands. Gold tooled. Green and light burgundy feather onlays. Top edge gilt. Yellow calf doublures and cream laid endpapers. 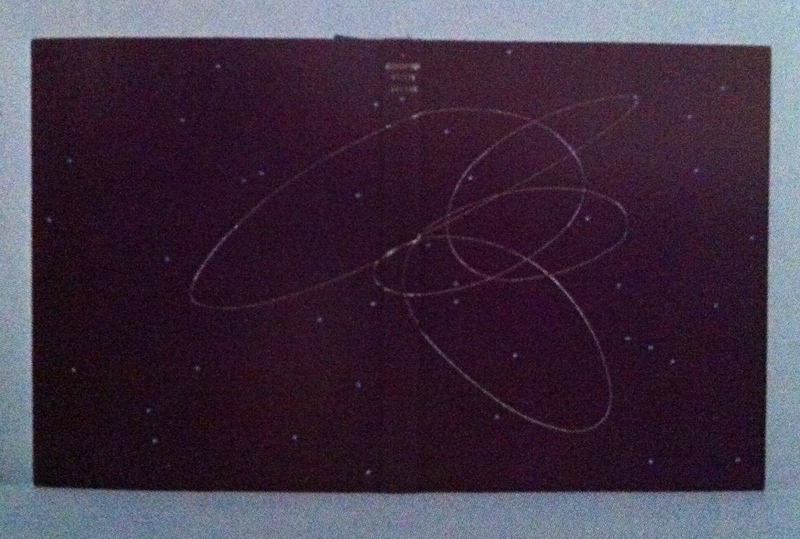 Signed: P. L.-M. [ca. 1960] 7.75 x 4.5 inches. Full purple French Levant with tight back, levant hinges, and purple and gold sewn headbands. Gold and palladium tooled. Top edge gilt. Hand-painted silk doublures. Bound in 1980. 11.5 x 9.25 inches. Thanks for your comments. I’m pretty good with binding history, dating bindings, ok with identifying country of origin. I’ve worked for a very high end antiquarian bookseller for over a decade, was a rare book librarian, and have a masters degree in library science. I’ve read a bunch of reference books and you wouldn’t believe the books that I get to play with every day. I am really interested in the teaching chain, connecting contemporary binders to the greats of the past. While I am a novice with contemporary design bindings, I have a fairly firm grasp of binding in general. Otherwise, I would really be a mess. It will take a while to develop a measure that you can use to evaluate design bindings. They are complex cultural objects that embody a synthesis of many different peoples work. Design binders are the last “maker” to participate with the object after a long list of other people including the writer, papermaker, typographer, etc. That places a unique burden on the designer. A design binding is relational in that it should create some type of balance as a synthesized holistic object. So I would argue that you should extend your study beyond the craft of binding and include a deep and differentiated study of the tradition (French, English, German) and the teaching linage that the design binder came from. Then some of the simple, more plain design bindings may have a place in the continuum of design binding. The Guild’s current exhibit “Horizon” is online at http://www.guildofbookworkers.org/events/exhibits.php, and past ones starting with PaperBound are online at http://www.guildofbookworkers.org/events/exhibits-past.php. While not the same as holding a catalog in your own hands, and the Guild’s catalogs are nice, it’s a great way to see the broad range of book arts – from “traditional” fine bindings to conceptual artist’s books. For terminology Bookbinding and the Conservation of Books is the best out there in English, http://hdl.handle.net/2027/mdp.39015011728865. Have fun.